Time allotted at lunch to highlight organization and/or speak to audience. 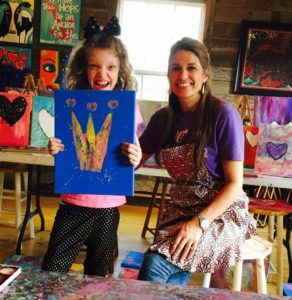 Kinley and Kami, both “Queens” of our hearts, love all things princesses and crowns. We think it quite fitting for the event’s headliner sponsor to hold the “Crown Jewel” title, also holding a very special place in our hearts, making this a very special day for so many! Gussie, Nanny’s goose who guards the front door of the Forrest home, is famous for wardrobe changes. Most often, sleepovers at her Nanny’s house are not complete without changing Gussie’s clothes. 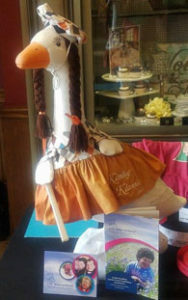 Gussie, is by far, the best dressed Goose in town, thanks to Kinley’s keen eye for Goose fashion. The Greenhaws “Big Mutt”, Theo, is the girls’ favorite furry friend. He loves to roam Shorerun Drive, where they enjoy walking him, as fast as their feet will go. Kinley professes she loves “Big Theo Mutt Mutt” the most. 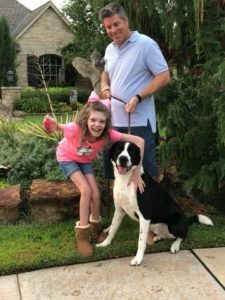 We hope you will sponsor the Kinley Klassic and Kami Too in “Big Boy” ways, as our goal is to make a Big Impact for families who have children living with special health care needs. McDonald’s also known to Kinley as “The Cookie House”, is home of the famous 3 pack of chocolate chip cookies for $.99. A little chocolate morsel herself, this girl ensures that every trip to the golden arches involves a pack of these famous cookies. Kami has now adopted these as her favorites, as well. Who can pass up a cookie, or three? A Dance with Kinley in her dancing boots- she still owes a few of you some dances! Kinley is notorious for her boot-lovin’ legs that magically find their groove when boots are on. Unwilling to wear tennis shoes unless she is in a therapy session, you will find Kinley choosing between black, brown or pink boots, even in 100 degree weather. She learned that they were dancing boots when a kind gentleman who blessed her family began dancing with her in line at dinner, then coming back with chicken strips later in the evening, seeking out the “pretty girl in the pink dancing boots.” The rest is history. We hope she is in a dancing mood this year!